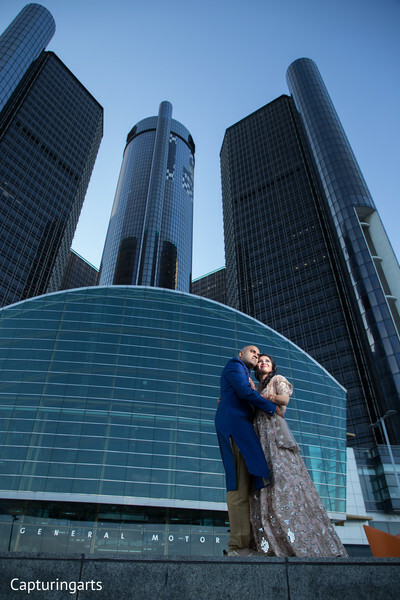 Welcome back to Sejal and Sudheer’s grand Indian wedding at the Detroit Marriott at the Renaissance Center. 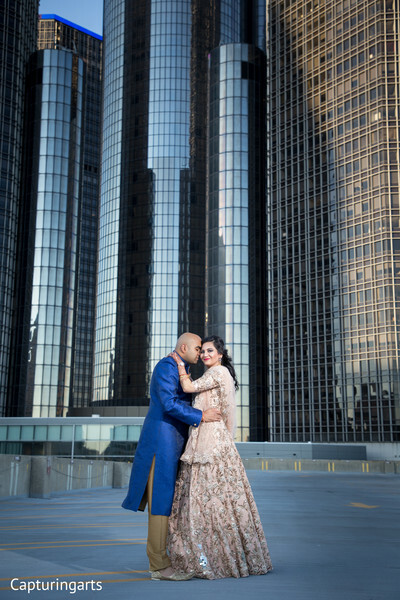 We are here today to fill you in all the details of this gorgeous Indian wedding celebration! If the bride is happy, then everybody is happy! 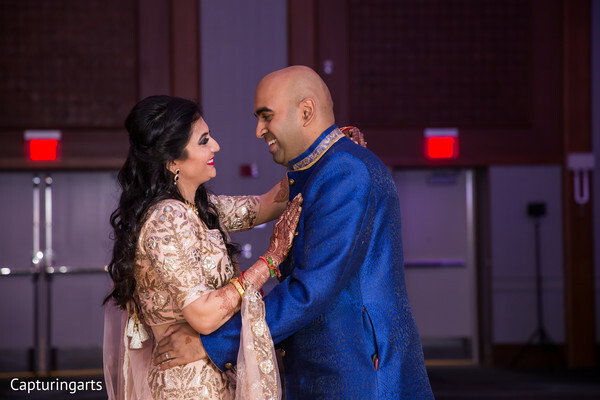 Gayatri Makeup Artiste was brought on to ensure our Indian bride looked her absolute best and she most certainly did not miss a beat! 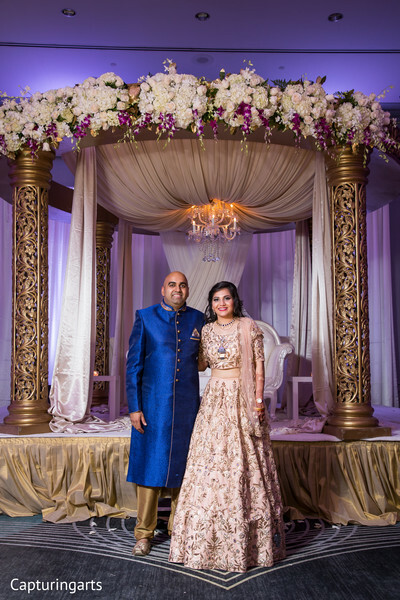 Sejal was an absolute stunner in an overflowing champagne lengha with silver embellishments. 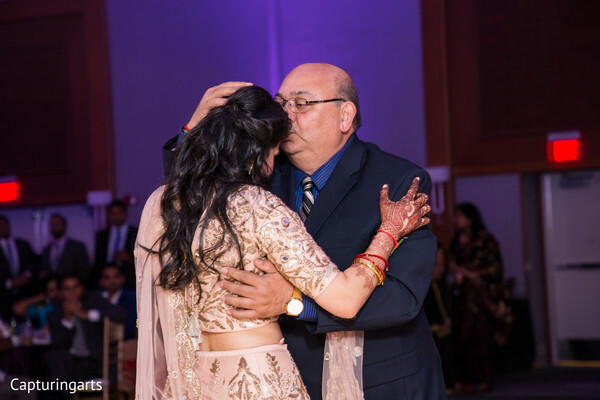 We all know how complicated Indian weddings can be! 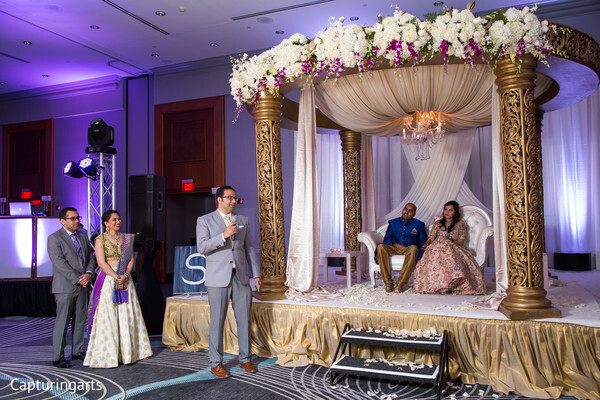 Hiring a superb wedding planner is a must and Utsav Planners, Inc. helped ease the bride’s mind by ensuring all the events transitioned smoothly. 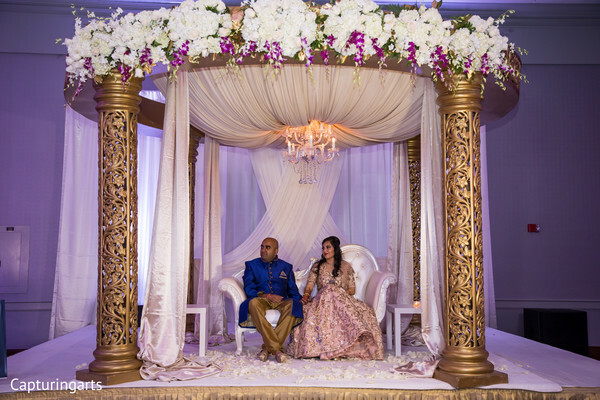 This dynamic team is also responsible for that gorgeous floral mandap you see sitting on the sweetheart stage! 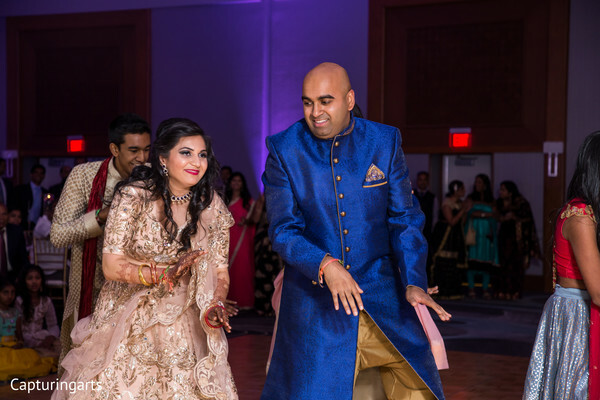 DJ Ice & Fresh Productions was churning out all the Bollywood beats on the turntables that really got the party jumping! 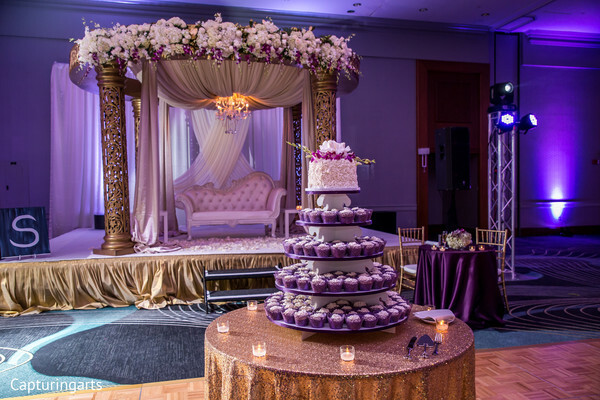 Wisteria Bakehaus handcrafted personalized wedding treats that were almost too good eat! (Almost!) 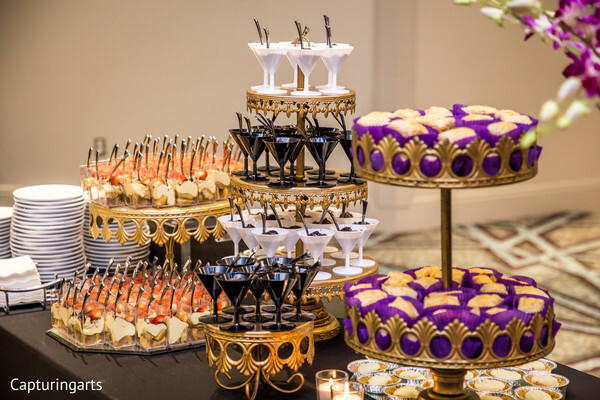 Guests enjoyed the sugary treats after some fine Indian cuisine catered by Ashoka. Behind the lens was Capturing Arts who shot both the live and still action. 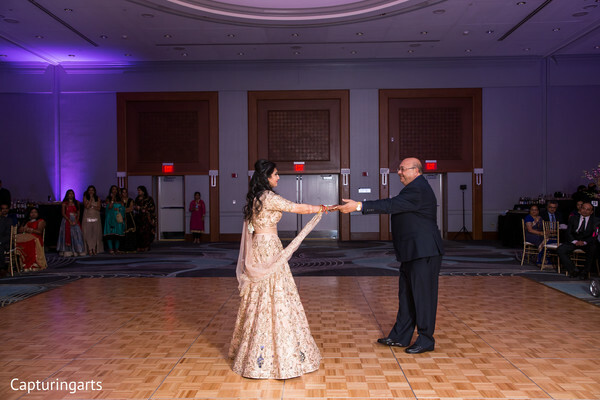 So, take a journey into pure love by visiting the full gallery celebrating Sejal and Sudheer’s big day. See you tomorrow love birds! 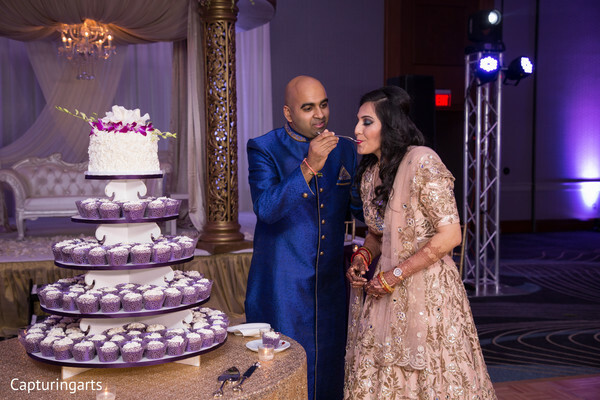 Utsav Planners,Inc., Gayatri Makeup Artiste, DJ Ice & Fresh Productions and Capturing Arts are members of the Platinum Guide. Love what you see? Explore their portfolios.